Have you ever wondered whether your stock have a trace mineral deficiency? Trace minerals such as copper, cobalt, selenium, and iodine are only required in small amounts but are still essential for optimal production, and for life. In contrast, macro-minerals such as calcium and phosphorus are required in larger amounts. Trace mineral deficiencies arise when the amount of the mineral in the food that is available for absorption by the animal through their gut is insufficient to meet their needs. Growing animals have the highest demand for trace minerals. 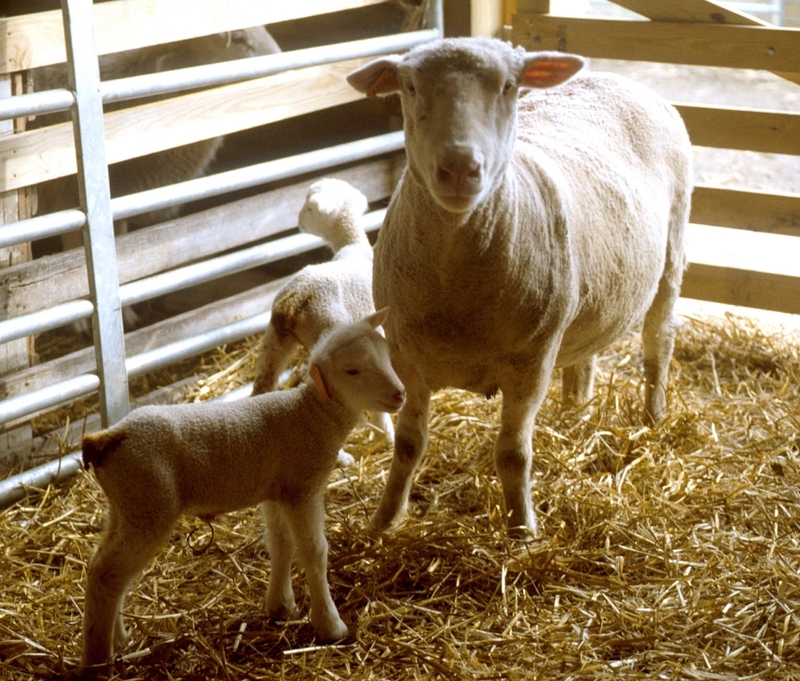 For example, growing lambs need about twice the selenium in their diet that adult sheep require. They are also born with minimal reserves stored in their body, so a dietary deficiency will become apparent sooner than in an older animal with previous body stores. Interactions of trace minerals with other minerals in the animal’s gut may reduce the availability of the trace mineral to the animal. There are similar interactions at the plant and soil level: soil pH, rainfall, fertilizer application, and stage of plant growth can cause mineral deficiencies to appear only in some years. Importantly, the trace minerals needed by animals are not always essential for plant growth. Because of all these interactions, soil and plant tests are not a reliable indicator that animals will not be deficient. Rapidly growing pasture (such as lush spring growth) is lower in trace minerals than winter or mature pasture, but deficiencies do not occur in every year. Copper deficiency presents most dramatically as enzootic ataxia (‘swayback’), a condition causing paralysis of the hind limbs of newborn or very young lambs. Less apparent signs include steely wool, anemia, and reproductive loss. 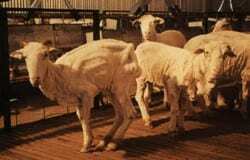 Cobalt deficiency is an ill-thrift disease of reduced appetite and growth, decreased wool production, anemia, and poor reproductive performance. Affected animals often have ‘white liver’ disease. We measure vitamin B12 (which contains cobalt) to assess whether cobalt deficiency exists, and treat with the same. Selenium deficiency causes ‘white muscle’ disease, with white lesions in the red skeletal and cardiac muscle tissue, leading to lameness or sudden death. Ill-thrift, reduced wool growth, and ewe infertility are also reported signs of deficiency. Iodine deficiency results in an enlarged thyroid gland known as ‘goiter’. There are effects on the developing fetus, including reduced fetal size, brain retardation, and increased lamb mortality. Although these disease states are most severe in younger lambs, the condition of ‘weaner ill-thrift’ of weaned […] lambs can have trace mineral deficiencies as part of its complex of causes. Farmers in areas that are deficient in trace minerals will routinely supplement their livestock with trace minerals as a preventive measure, using any of [free choice mineral], licks, drenches, rumen boluses, and injections. Not all areas […] are deficient in any one or all of these trace minerals. It is ideal to test young, rapidly growing animals on fast-growing pasture to see whether a trace mineral deficiency actually exists. A decision can then be made about whether trace mineral supplementation is really necessary. Caution should be taken with over supplementation, especially of copper, because sheep are very susceptible to copper toxicity. For further advice, please contact your local veterinarian. Posted by Braden Campbell at 8:00am April 9, 2019 Posted in Nutrition and tagged Health, Management, Nutrition. Bookmark the permalink.